Follow Percy’s footsteps and immerse yourself into the world of Greek mythology, full of mythical beasts and capricious gods! Follow Percy Jackson’s footsteps and live your own family myth in Greece. Experience 5 whole days of fun exploration and get to know the most impressive Greek archaeological sites in Greece. Discover the rich history and the fascinating myths of the most wow places mentioned in Greek mythology, such as the mighty Acropolis, the inspiring Temple of Poseidon in Sounion, the spiritual site of Delphi, the magnificent Epidaurus and the royal palace of Mycenae - just to name some of them! Step on the trail of Percy Jackson in a family-friendly exploration and experience a mythological adventure in Greece! Ideal for Percy Jackson fans and perfect for Greek-Mythology enthusiasts! Enjoy the personal attention of a family-friendly licensed guide during all your tours! Ideal experience for families! Let your children be engaged with fun activities and intriguing storytelling. We really enjoyed the Percy Jackson tour with Evita. We got so much information to take in and all so interesting. She helped us take in the significance of all we saw. She was very patient with us and interacted with our daughter who is a mythology buff. Would highly recommend the whole experience! We just returned from an excellent tour, in which my 15 year old twins had a great time!We had a very good experience with Greeking.me and would definitely recommend them. Our guides were like having a friend showing you the secrets of the city but with lots of info that a typical guide would not know. Fabulous experience for two boys 7 and 11. Our guide Marialena was engaged and engaging. We were out the door early every morning and back late at night. Went as far as Delphi. We learned a lot about the history. Culture. Food. Life in general. Highly recommend and this is a family that travels constantly. Best experience we have ever had. Get ready for a five-day family adventure and visit the places where Percy Jackson stories took action! Bear in mind that all your transfers are private – airport pickup and return, travelling to Percy-Jackson hotspots and back. Accommodation in family-friendly hotels in Athens city center and Nafplion can be arranged. Welcome in Athens and let the fun begin! Depending on the time of your arrival you can either rest at your hotel or explore Athens city center. There is an unlimited number of choices, when it comes to Athens. If you are a first-timer, you can stroll around the city center and discover Athens beautiful neighborhoods, its colorful market and one-of-a-kind street artists in Monastiraki. You can also enjoy the sun in one of Athens luscious-green parks, such as the National Gardens, or feed the pigeons in Syntagma Square nearby. 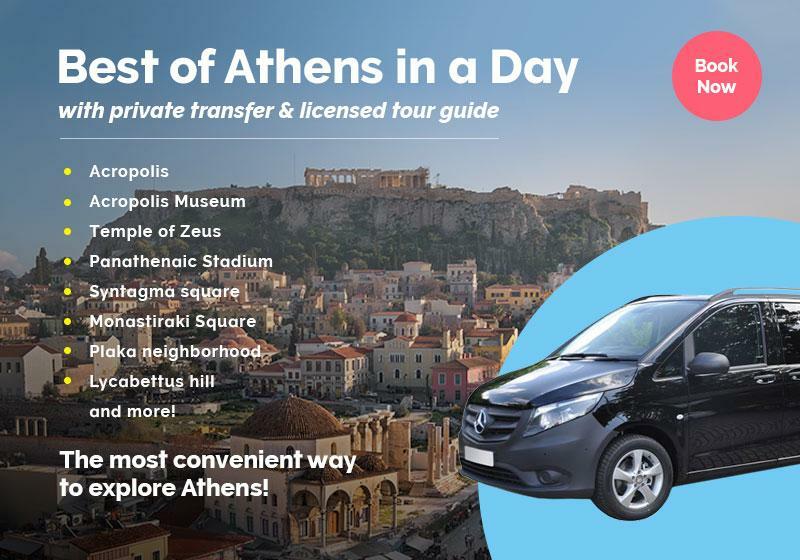 Opt for one of our Athens-exploration tours with expert family-friendly guides; see the best of Athens in a few hours or discover the famous hills of the city and relish magnificent views. You can also combine your city stroll with delicious Greek bites in a fun Athens Family food tour. Walk around the historical center of Athens and discover all the hidden culinary gems of the city. Let your expert foodie guide unravel the secrets of Greek Gastronomy to you; taste traditional Greek dishes and mouthwatering deserts; get into the vivid rhythm of the city and discover local food shops with herbs and spices! Needless to say that you won’t need lunch after that. However, if you are more of an adventurous family, then we have something more interactive in store for you! “Play-and-learn in Ancient Agora” is a fun series of interactive and fun games in Ancient Agora of Athens; kids will learn everything about giants and other fascinating creatures of Greek Mythology, while having fun! Alternatively, be a spy in our “Treasure Hunt in Athens” and get all the family moving around the city, hunting for clues and solving riddles towards the ultimate “treasure chest”. Do you think you can take it? Your mythical journey to Greece is ready to begin! Our family-friendly guide will pick you up from your hotel, if centrally located, otherwise alternative transportation will be arranged. First Percy-Jackson hotspot: Acropolis Hill! “The most ancient temples to the gods, in the middle of Athens…” as Percy Jackson said about the Acropolis. Walk up the sacred hill to be astonished by the magnificent views of the Acropolis buildings and the incomparable Parthenon - a temple dedicated to goddess Athena, the patron of the city in the antiquity. Listen to our expert guide unravelling all the myths and stories related to the Acropolis and watch your kids be amazed by the mythical tales. You can even get the chance to see the place where Athena (Annabeth’s mother) and Poseidon (Percy’s father) fought over in Percy Jackson story! Do you want to time-travel and see the Acropolis exactly as it was during the glorious Golden Age? Opt for the Acropolis 3D tour! Visit the site and use mini i-Pads with the amazing Acropolis 3D app for families to watch the Acropolis with all the colors, as it used to be in ancient times! Acropolis Museum comes next in your Percy-Jackson experience! Kids usually are not great museum fans, but in this case the brand new Acropolis Museum will definitely change their minds. Our licensed family guide will intrigue the kids with engaging storytelling about the artifacts of the museum and will make the visit more fun for all with interactive games. The total duration of the Acropolis Hill and Acropolis Museum tour is about three hours with approximately forty minutes walking-time. The children will be constantly engaged by our family-guide and, since this is a private experience, appropriate time will be provided for resting and snacking. After the tour, choose lunch between a cozy restaurant nearby and a beautiful seaside fish-tavern in Sounio. Visit the southernmost tip of the Attica peninsula and get ready to feel like you are in an island! The afternoon trip to Sounio is an excellent way to finish your day by relaxing, enjoying a swim and watching the sunset!Watch the majestic sunset from the temple and feel the strong energy of the place. We will let the night fall and will make our way back to base! First, we take you to a scenic family beach with a direct view to the temple of Percy’s father, the Temple of Poseidon, the Greek God of the seas. After having swam at the crystal waters, hop in and go to the Temple of Poseidon so you can watch the majestic sunset and feel the strong energy of the place. We will let the night fall and will make our way back to base! Get ready to continue your big Percy-Jackson adventure and start your day with a multi-scenery 2.5 – hour drive to Delphi! Immerse yourself in the history of this unique place! Enjoy beautiful mountain views from the Temple of Apollo and find out everything about the famous oracle of Delphi. Mysterious stories and hidden tales await for you to be revealed in this mystical mountaintop! Greek mythology indicates that people would come to Delphi from all over the country to consult Pythia, the famous Oracle speaker of the prophecies of god Apollo, about important matters of public policy and personal affairs. The Oracle would also be consulted before any kind of important decision, including war or the founding of colonies. You will also get the chance to visit the ancient theater and the stadium of Delphi archaeological site; travel back in time and picture athletic contests that took place back then. Carrying the mystical energy of Delphi, you hop on the mini-van and return to Athens to spend the night. Ancient Corinth comes next in your itinerary with a lot of mythological tales to reveal. What did Poseidon – Percy’s father – and the titan ruler of the sun quarrel about? What is the story of Jason, the famous hero that led an expedition to find the Golden Fleece? Find out about his turbulent life and his topsy-turvy relationship with the powerful sorceress, Medea! Wander through the archaeological site unmasking the secrets behind the Temple of God Apollo and the place where St Paul preached when in Corinth. Visit the Archaeological Museum of Corinth and watch your kids get excited with the numerous statues of their favorite Greek gods. Your mythological journey continues with Epidaurus, the birthplace of medicine and one of UNESCO’s World Heritage sites. You are about to experience the most popular healing center of antiquity. Visit the archaeological site of Epidaurus and stroll around the most-well-preserved ancient theater in Greece, world-famous for its acoustics; you can also play a little game with your kids there so they can discover the perfect acoustics of the theater by themselves. Asclepieon comes next in your Epidaurus mythological tour; this is the sacred healing place dedicated to God Asclepius, son of Apollo. Percy-Jackson fun-fact: Asclepius was one of Athena’s favorites! The Goddess gave him a vial of Gorgon Blood which allowed him to cure any illness, heal any injury, and even bring back the dead. Jason and his friends used the Physician’s Cure, a magic potion given to them by Asclepius, to bring Leo Valdez back to life after a fierce battle with Gaea, the Greek primordial goddess of the Earth. You will also come to see the Temple of Artemis – the Goddess of Hunt – the baths and all sorts of sport and hospital facilities of a proper healing center. As soon as you finish your mythological journey to Epidaurus, you’ll hop on the mini-van and head to Nafplion to spend the night. Enjoy an energizing breakfast and get ready to go on a quest of the ancient royalty of Greece! First Percy-Jackson hotspot of the day: Mycenae! According to the myth, when the great king Agamemnon looked out over Mycenae, he felt invincible. Walk around this ancient citadel and get the same feeling! The whole archaeological site really shows off the impressive architecture of the Mycenaeans. See the imposing Lion Gate and unravel the myth behind the legendary Cyclopean Walls! Listen to enchanting stories about the famous Trojan War led by King Agamemnon of Mycenae and the doughty deeds of Achilles, one of the greatest Greek warriors ever lived. From notorious Helen of Sparta to the Curse of Achilles, your children will be fascinated! Percy-Jackson fun-fact: In Rick Riordan’s novel, ‘The Last Olympian’, Achilles’ ghost appeared before Percy Jackson to warn him about the dangers of bathing in the River Styx. He explained that if Percy is successful at surviving the bath in the Styx, his prowess in combat would be greater than any other mortal, but his weaknesses would increase as well. Percy admired Achilles; ‘I stunk at Greek names, but even I knew the greatest warrior of all time, who had died from a wounded heel’, Percy said to his friend Nico as the ghost of the Greek warrior appeared before him. Finish up your mythological quest for the day with a visit to the nearby city of Nafplio! Enjoy a mouthwatering Greek lunch or stop for a refreshing gelato – the best in the town - that your kids will surely love. Let your guide show you around the most romantic city of Greece and take you to its must-see highlights. The whole family will enjoy a leisurely stroll through the old alleyways and explore every hidden corner of this beautiful city. Opt for a horse-riding experience, if you feel energetic enough, or unwind with a relaxing ancient Greek massage to release the tension after this mythological adventure (upon request). This is where this magnificent mythological quest will end! Filled with fun family adventures, we take our way back to Athens. Can’t you get enough of fascinating stories and mythical adventures? Keep Greeking and go for Ancient Olympia, the birthplace of the Olympic Games! You are about to explore an ancient sports center with all sorts of facilities; the Gymnasium where the athletes trained, the Palestra, a place for wrestlers only, locker rooms and baths! There was even a “hostel” that accommodated the eminent visitors during the games! Discover the Temple of Zeus, the God honored with the Olympic Games and find the place where the Olympic Torch was lighted. You will also discover how warring rival Greek states called a truce just to compete in the Olympic Games. Don’t forget to run in the original Stadium where the actual Olympic Games took place; feel like an ancient Greek athlete and race against each other on a track used thousands of years ago! Percy-Jackson fun-fact: Olympia is the place where Percy Jackson, Leo Valdez, Hazel Levesque, and Frank Zhang meet and battle Nike, the Greek goddess of Victory, in the Blood of Olympus. We are sure that if your kids are lovers of Percy Jackson novels, they will remember the scene when Leo and Percy provoked the goddess to come forth by challenging that Adidas shoes are better than Nike shoes! See the navel of fair-play and the epicenter of every sports-spirit idea of the Western World. Ancient Olympia is a highly inspiring place and a must for every traveler that happens in Greece! The tailor-made tours on the 1st day. The spoken language for most of the tours is English. If you are interested for a particular language, just let us know. Prepare yourself for an exciting experience & bring along your camera so you can capture the best views of the sites visited. Not at all! We will walk at a moderate pace so it will be a pleasant experience for everyone. Totally! Kids will be over the moon with the Percy Jackson Mythology Tour in Greece! Fortunately the weather in Greece is mild and warm during the most time of the year. In case of rain, though, you will be timely notified about any changes in your scheduled tours.